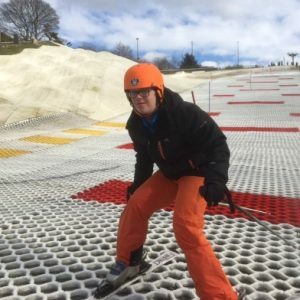 Special Olympics Norfolk have been busy training in giant slalom and slalom in preparation for the Eastern Region Alpine Ski Race on Sunday 23 April. 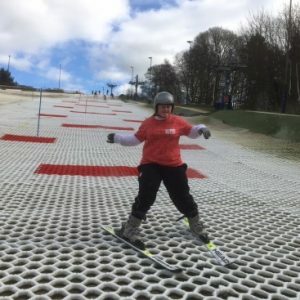 This will be the second time Norfolk Snowsports Club have hosted this exciting event and we look forward to welcoming Norfolk athletes as well as those travelling from other parts of the UK to compete. Special Olympics is a worldwide organisation for people with intellectual disabilities of any age. Competitors race against athletes of the same ability, rather than age. On the day there will be 3 categories – Novice, Intermediate and Advance. Sit-skis will also be navigating the course. 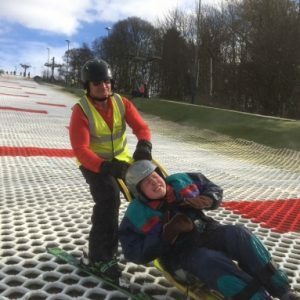 The training for this event is under the watchful eye of David Beckett, coach and volunteer for the adaptive helpers. Racing will begin at midday on Sunday 23 April, so come along, show your support and enjoy the BBQ!